Bourbon Street in New Orleans – Do visit but do so in the morning! There are some things you must do when visiting New Orleans: Take a Hurricane Katrina bus tour; eat seafood gumbo from a tiny deli on Royal Street; ride a streetcar to the huge St. Patrick cemeteries at the end of Canal Street; and visit haunted houses in the French Quarter. Above all, take a walk along Bourbon Street, but do it in the morning. 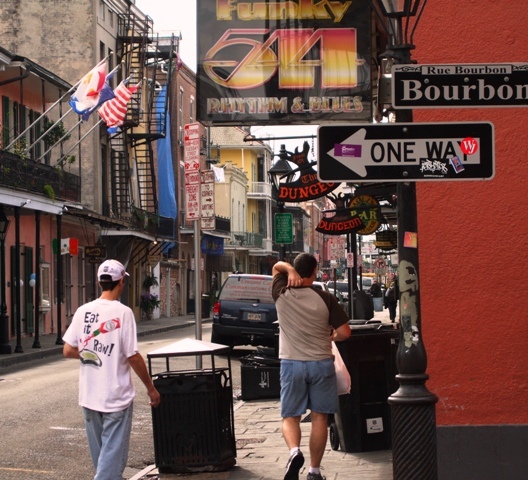 Bourbon Street is a magnet for the young and lecherous among us, at night, but a morning walk in the bright sunshine, devoid of the nighttime debauchery, can be a truly pleasant experience. Especially if you are a photographer. 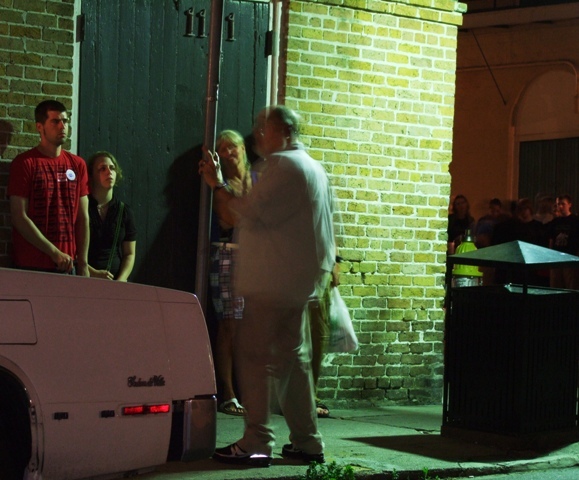 Most Haunted House in New Orleans is Owned by a Big Hollywood Star! 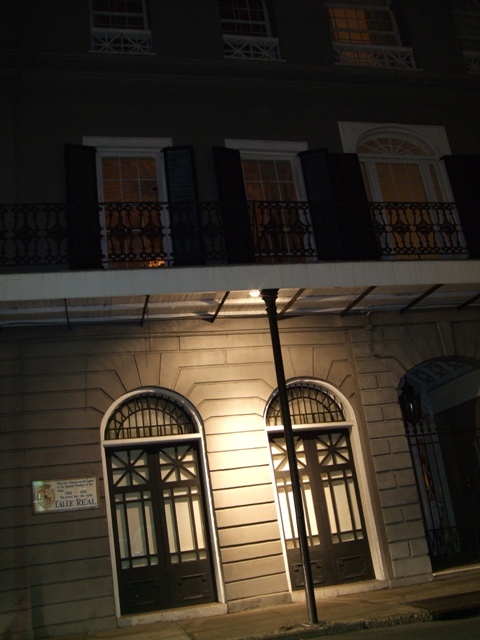 Who owns the most haunted house in New Orleans, Louisiana? He’s a big star, he’s done lots of movies, he’s an Oscar-winner, and he was once married to the child of a King. Can you guess? Okay, here’s another clue: he lives down the street from another famous star, in fact, a pair of Hollywood notables: Brad and Angelina. Have you guessed yet? No? 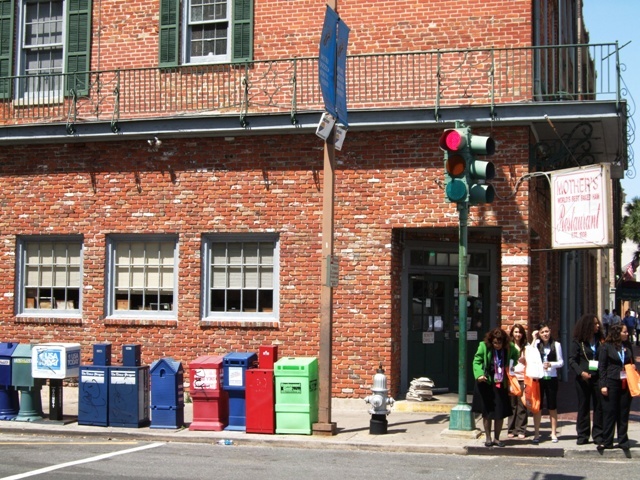 Ignore its dumpy exterior because if you want to eat in this New Orleans restaurant, you’ll have to get over first appearances. Besides, the place was good enough for celebrities like Steve Martin, Jimmy Buffet, Kathleen Turner, Arnold Schwarzenegger, and LeAnn Rimes. Look for a plain building with a side entrance; one of the entrances probably has a busted door, so you’ll have to go to the side. You’ll see lots of people coming and going; that’s always a good sign of good eats. Once inside, don’t stand around waiting for any special attention, just grab a menu, and place your order. 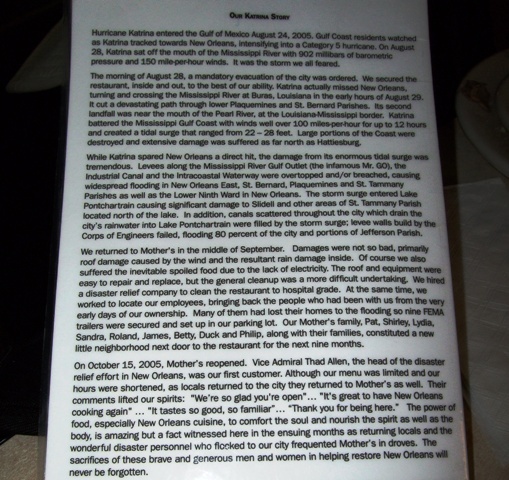 New Orleans: It’s Business as Usual come Hell or High Water! Are you wondering about the state of affairs in New Orleans? Has the “City That Care Forgot” managed to recover from the effects of Hurricane Katrina? Information on New Orleans recovery can now be easily accessed at the city’s brand new “Recovery Projects Information” site. It’s been more than 2-1/2 years since the Big Easy was devastated by Hurricane Katrina. The massive hurricane, complete with high winds and high waters, hit New Orleans on August, 29, 2005. Protective city levees broke, and the majority of the city was flooded. Luckily, one of New Orleans most popular historic areas, the French Quarter, was spared; that’s where I am headed in a couple of weeks. According to the Bush administration, it’s expected that it will take a quarter century for New Orleans to fully recover from Katrina. But where tourism is concerned, it’s business as usual. Read on . . .